Welcome to the Affiliate Center for UglyChristmasSweater.com. Here you can reference the program’s terms and stay up on important updates. At UglyChristmasSweater, shoppers will find light-up sweaters, inappropriate Santa sweaters, tacky designs and much more. 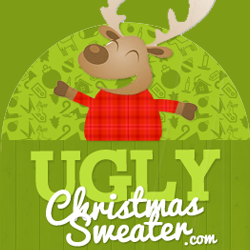 Whether your customers are shopping for an office or family party, they will be memorable with a sweater they bought from UglyChristmasSweater.com.